The FR212 is a mono cab featuring 2 custom built, high powered (500W continuous power handling) lightweight 12" neodymium drivers and a single 1" HF compression driver with a custom designed passive crossover network handling the overall signal. The cabinet is tuned and ported as you'd expect to give the optimally flat response with an extended bottom end to handle 6 strings and beyond. 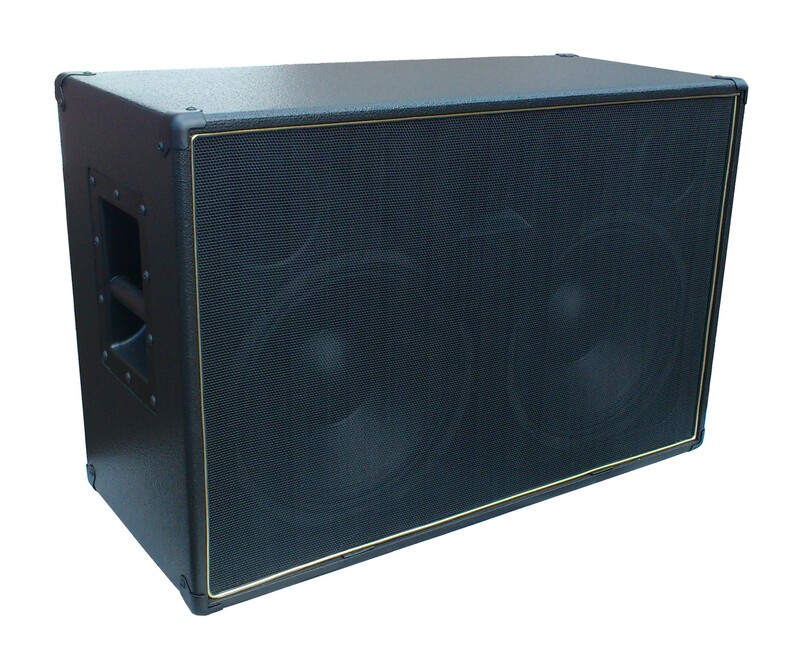 It achieves this impressive bass performance with a flat response inherent in the design of the cabinet and porting rather than an artificial, electronically boosted bass. We worked with one of Europe's leading driver manufacturers on this project, trialing a number of custom built drivers before settling on one which met our exact specifications. The emphasis on this design was in matching the bass to the treble in a manner that allowed the best transient response, and maintaining a linear phase relationship throughout the working range of the cab. Minimising the phase shifts and getting the flattest possible response greatly assists in accurate reproduction of impulse responses, providing minimum coloration to the signal. The FR212 is capable of handling the loudest band and stage situations with ease whilst providing a big full sound that feels like a 4x12 with a wide sound coverage and great off axis sound reproduction. The combination of the two custom built bass and HF drivers provides a consistent, even response throughout the frequency range. Put well recorded music through the cab and you will appreciate the work we have put in. Clean, detailed and accurate - sounding like a large, well controlled studio monitor or large hi-fi system ... yet with the power to fill a stage and ruggedness to cope with the working life of band backline. Please note: Only the older versions of the Kemper 'Powerhead' require the 16 Ohm version, more recent Kempers can use the regular 4 Ohm version without issue. The 16 Ohm version is built to order, there will be an slight delay (usually around 2 days) on shipping for the 16 Ohm variant. Please check the specific operating instructions supplied with your Kemper Powerhead, or check with Kemper with your serial number to check which version you have. Rated at 4 ohm and featuring Matrix's signature hard-wearing black paint covering with a traditional black grille cloth and gold piping.